1. We believe the Bible to be the inspired, the only infallible, authoritative Word of God. 2. We believe that there is one God, eternally existent in three persons: Father, Son and Holy Spirit. Joey & Patti Romero have served in Ghana since 2004. Their primary desire is to see disciples made among the people in the rural areas of Ghana. 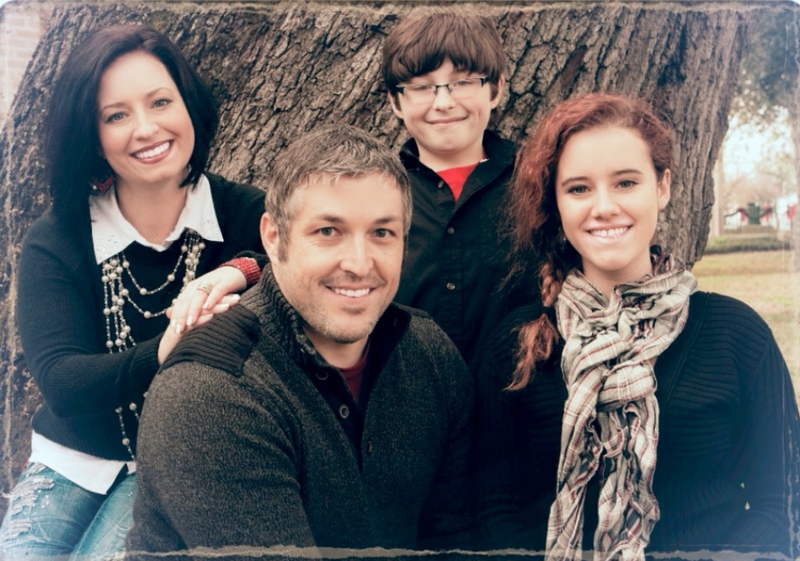 Casey and April Zimmerman with their daughter, Jordan, and son, Ryan. Casey, April, and Ryan Zimmerman in December of 2014 formally accepted God’s invitation to humbly serve the people in Ghana West Africa. God's Word makes it clear that we are to submit to the will of our Heavenly Father just as Jesus did (Luke 22:42). In love and obedience, we are also called to fulfill the Great Commandment (Matt. 22:36-40) as we reach out to a dark and dying world with the love shown to us by Jesus. In doing this doors are opened to fulfill His Great Commission of making true disciples of all nations. (Matt. 28:18-20). God is passionate for his glory among the nations. He raised Jesus from the dead and exalted him over all “so that at the name of Jesus every knee should bow . . . to the glory of God the Father.” (Philippians 2:9–11). In other words, God exalted Jesus for the glory of God. Nothing will stop him from having a people who love to ascribe all glory to him in the great work of salvation. Revelation 5:9 and 7:9 tell us that the people who ascribe glory to God in their salvation will come from every nation, tribe and tongue. When we visited Ghana for the first time in 2012 God’s invitation was shared with us and over the next 2.5 years we prayed, sought confirmation, and counsel all of which confirmed our initial invitation. We have no illusions of grandeur. God’s world is massive. And God is infinitely more massive in power and wisdom and goodness. Mission work is needed all through this world and we seek to bring glory to His Holy name by accepting His invitation to Ghana West-Africa. He will finish His mission. The peoples of the world will be reached to the Glory of God. Praise be to God who would use us as vessels for His glory in the salvation of the nations. Therefore Missionary Jen Theriac @jentheriac95 posted this yesterday: We crossed a river to go to church. The girls taught the Sunday school. And after church we cooled off by splashing around in the water. For two of these girls it was their first time to cross a river or play in water. It's been a good day for all of us! Therefore Missionary, Joey Romero posted some pictures of the ongoing construction of the future bread plant. Things are being built in Vume. James Asilevi shared this picture of the construction going on for our school there. Take a moment today and pray for the students that will soon fill this classroom. Our gala is off and running. Visit our Facebook page for the livestream. We’re so excited about our plans for this weekend’s Therefore Gala. Come learn the answer to some incredibly important questions. “Why We Go” “How We Go” “Should I Go” & “Help Others Go”. We are gearing up for the gala next weekend. We would love to have you join us in Beaumont. Click the link in our bio for more details. Hey, we’re having a gala soon. Click the link in our bio for more information. Happy Thanksgiving from Therefore International!